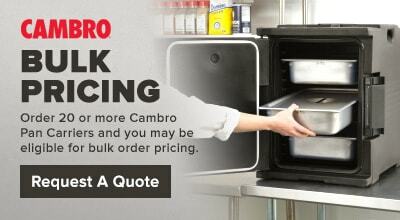 Holds up to 4 full size, (8) 1/2 size, (12) 1/3 size pans, or 8 half size sheet pans 13" x 18"
The Cambro 1318CC Combo Carrier comes with a fully removable, gasketless door for easy cleaning and storing. 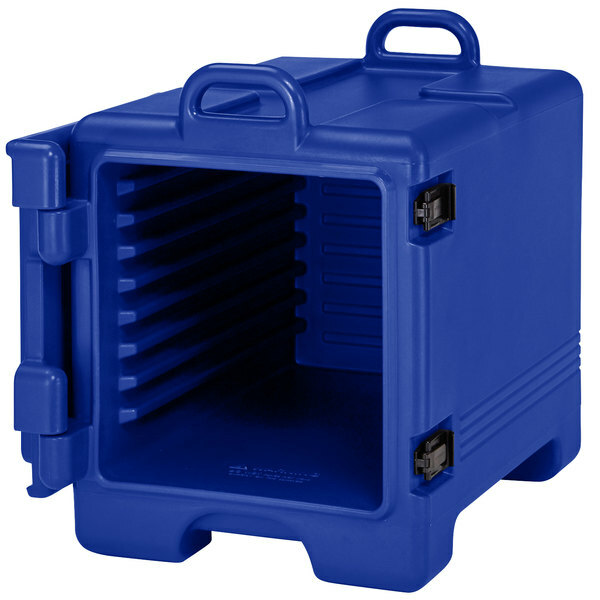 To keep chilled foods at a temperature below 41 degrees Fahrenheit, purchase a Cambro Camchiller (sold separately) to do the job when frequent access is required. 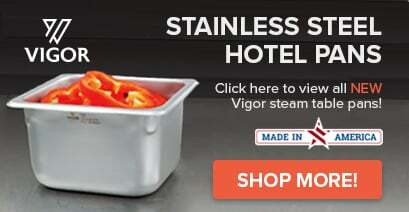 It holds half-size sheet pans, trays and a variety of food pan sizes.For half-size sheet pans, it can hold 2 pans deep. 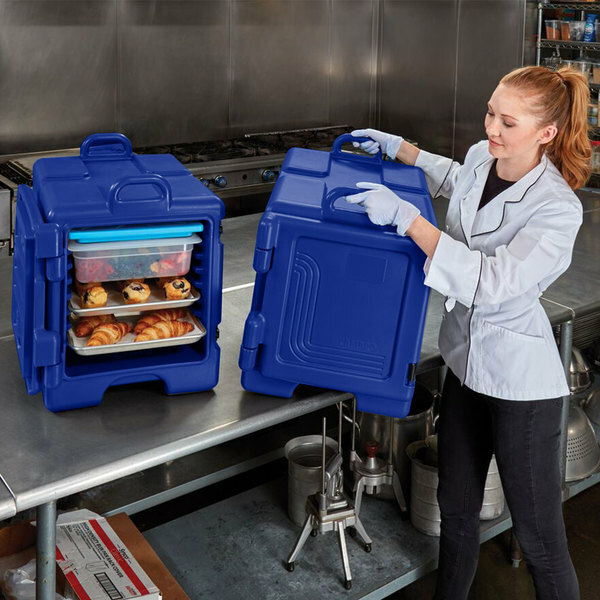 For efficient carrying an transport, it features secure locks and interstacks with Cambro UPC300, 300MPC, and 1318MTC models. 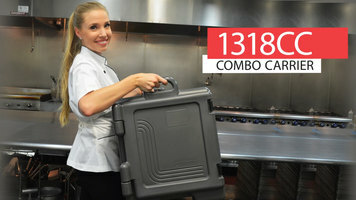 See how this ergonomic Cambro 13188CC Combo Carrier can safely hold and transport your food by watching this video! 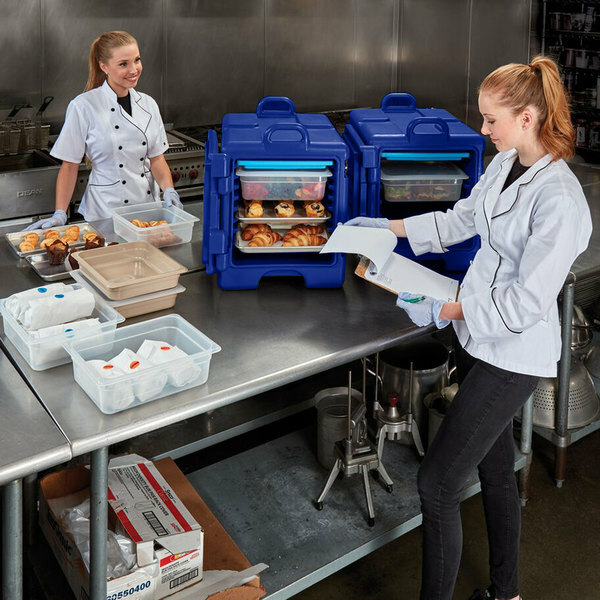 Transport hot or cold food from your kitchen to your next catered event with this Cambro 1318CC186 Combo Carrier navy blue front loading insulated tray / sheet and food pan carrier. Perfect for catering companies, buffets, and banquet events, this pan carrier extends the holding time for your carefully prepared meals. For added versatility and convenience, this front loading food pan carrier can hold a combination of trays, 1/2 size sheet pans, and food pans. 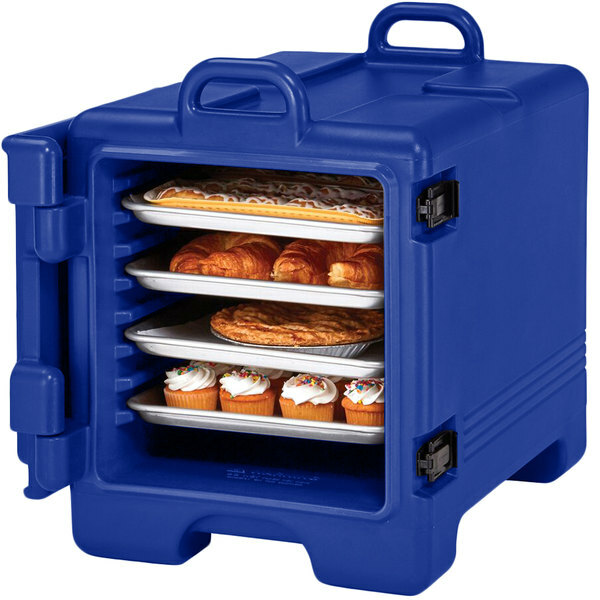 This carrier's thick polyurethane insulation safely keeps cold food below 41 degrees Fahrenheit, or hot food above 140 degrees Fahrenheit for over 4 hours and is light weight for comfortable carrying and transport. Its gasketless door opens a full 270 degrees, so it remains out of the way during loading and unloading, and can be conveniently removed for easy cleaning. Plus, the door features a labeling area for adhering ID or routing labels. 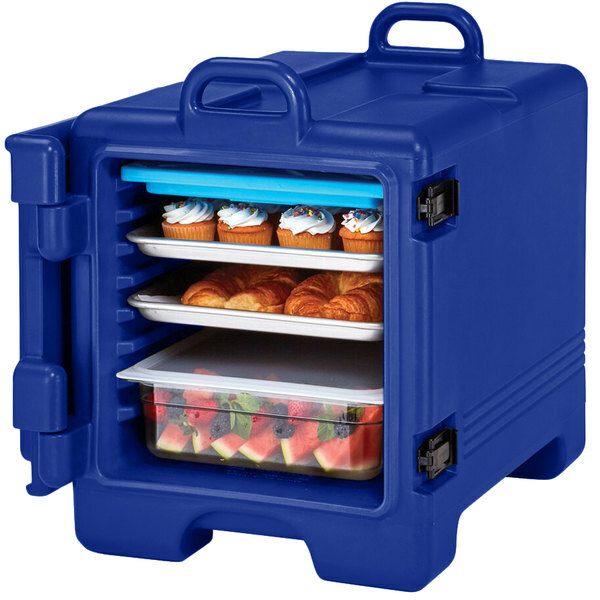 For larger catering events, this carrier is stackable, allowing for effortless transport in cars or vans. Plus, it can be used with dollies for effortless transport! 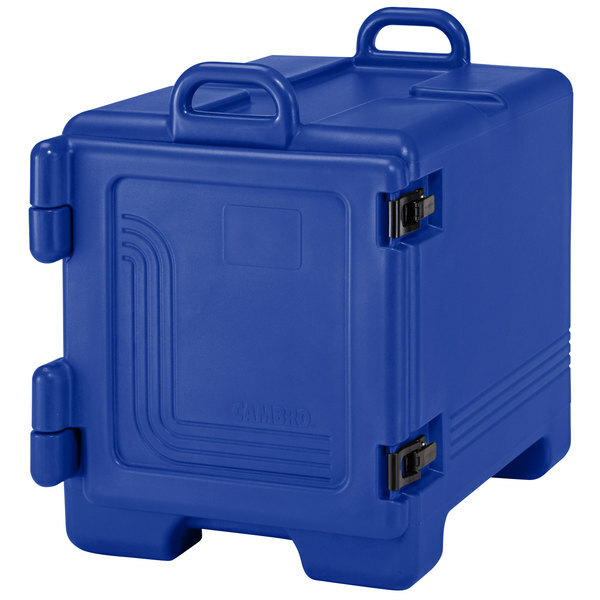 Ensure your stored products remain in food safe conditions during storage and transport with this Cambro Combo Carrier!